Smart building devices—thermostats, lights, security systems, faucets, and much more—are already helping facility maintenance teams manage operational costs as well as reduce energy and water consumption. You probably have some of these smart devices in your facilities already. One of the most common is smart lighting, which adjusts based on conditions such as occupancy or daylight availability. Smart building devices are changing how maintenance work is done in the same way consumer technology has changed our everyday lives (i.e., smart phones). 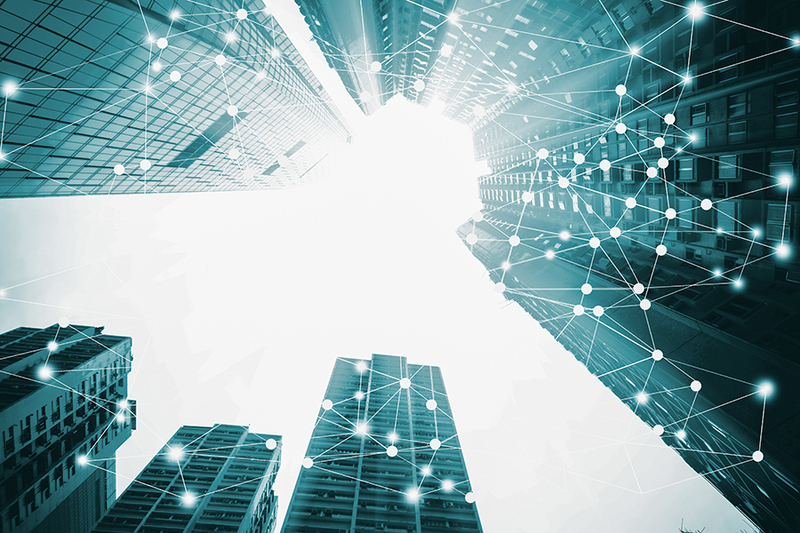 The combination of smart building devices and CMMS software can help facility managers take these smart devices to the next level by streamlining workflows, preventing breakdowns, maximizing technician time, and extending equipment life. A smart facility uses internet-connected devices to enable the remote monitoring and management of appliances and systems, such as lighting and heating. Smart building devices are designed to harvest data, which then can be analyzed with CMMS software to diagnose performance problems. That gives maintenance teams a head start in both reacting to and preventing problems. Let’s say you have a smart HVAC system that’s operating at a warmer temperature than normal. Sensors in the equipment will automatically gather temperature data and send it to your CMMS software. Your CMMS software will automatically alert you when something doesn't look quite right, long before your maintenance tech does a scheduled inspection, or the unit fails. And that could prevent a breakdown, saving you both the costs and the headaches associated with an HVAC failure. What Does Smart Technology Mean for Me? Smart building devices and CMMS software replace manual processes—data gathering, data entry, reporting, etc.—with technology that makes those tasks quicker and easier, so the job gets done faster. Facility managers can use that information to reduce downtime, prioritize tasks based on condition, automate communication, and make more efficient use of resources. The combination of CMMS software and smart building devices make it possible to get more from your data and, ultimately, make better decisions. And that is a very smart thing.